Looking for the best DRM removal freeware? Read this review to find out the top 3 free DRM removal software on Mac and PC. 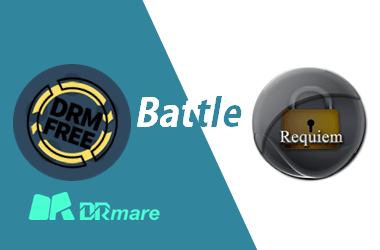 DRmare and Requiem are two lossless iTunes DRM removal tools. This review compares the two solutions head to head for you. Do you want to listen to audiobooks for free? If so, you can take a look at these top 8 best free audiobook websites, from which you can stream audiobooks for free online or download them offline. In this page, you will discover top 6 best music player for Android. Hope you can find the best Android music player for enjoying music entertainment on Android. Spotify and Pandora are both top streaming music platforms. If you can't decide whether to subscribe to Spotify Premium or Pandora Premium, you can take a look at this article first. iPhone is the native Music app is best for streaming Apple Music, but maybe not best for other sources of songs. If you'd like to get the most potential from your songs, you can try one of these best iPhone music players. Samsung has just announced the next generation phone Galaxy S10. You can take a look at this full review to learn the S0 features and decide if you want to upgrade to it or not. There are kinds of free media players available online. But you may not know which one is best. Here you can take a look at this top 7 list of Android media players. FLAC is great in audio quality, but it maybe not compatible with some players. To enjoy FLAC music freely, you can try these 5 best tools to convert FLAC to MP3 easily. As the best game consoles, PS4 and Xbox One are also great devices for playing media. In this review, we compared both consoles in playing media so that you know which console is better as a media player. If you are using old iTunes 10.7 or lower versions, you can follow this guide to download Requiem 4.1 and remove DRM DRM from iTunes movies losslessly with Requiem for free. This review talks about the 8 best websites for downloading and watching 4K movies and TV shows, you can take a look at it to pick up the right 4K downloading service for you. 2018 Halloween is coming. To have best Halloween with most fun, you shoul definitely not miss these top list of Halloween music ever created. To have more fun with your family and kids on this coming holiday season, you should definitely take a look at this list of the top 20 best Halloween music. Can't make a decision between Spotify and Google Play Music? No worries. Why not take a look at this side by side review to find out more details first? Do you want to switch Spotify music to other streaming services? Tidal and Apple Music are the top 2 options, you can take a look at this page to find out the detailed comparison. Is Tidal better than Spotify? Do you want to switch the music platform? Now you can check this post to find out the detailed difference before you made the decision. 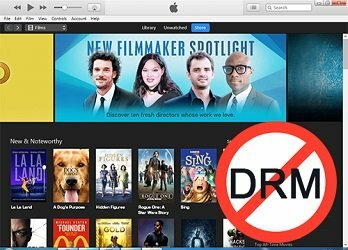 There are plenty of iTunes DRM removal tools with different pros and cons in 2018, we have reviewed the top 6 one to help you save your time to make the right decision. There are too many free streaming sound recorders available nowadays, you may have no idea which one is best. Here we have structured a list for your reference. Streaming music is great, but normally it can't be downloaded. If you want to save it offline for later listening, you can check this list to find a best streaming audio recorder. Spotify and Amazon Music Unlimited are two great streaming audio services in the market, but which one is better for your daily listening? Check the side by side comparison before you make the ultimate decision. Google launched the Audiobook service at the beginning of this year. Is it better than Audible? In this post, you can find out the detailed difference between them.